Hi! I got a new cookbook and I’m so very excited about it! Most of you are probably familiar with Heidi. 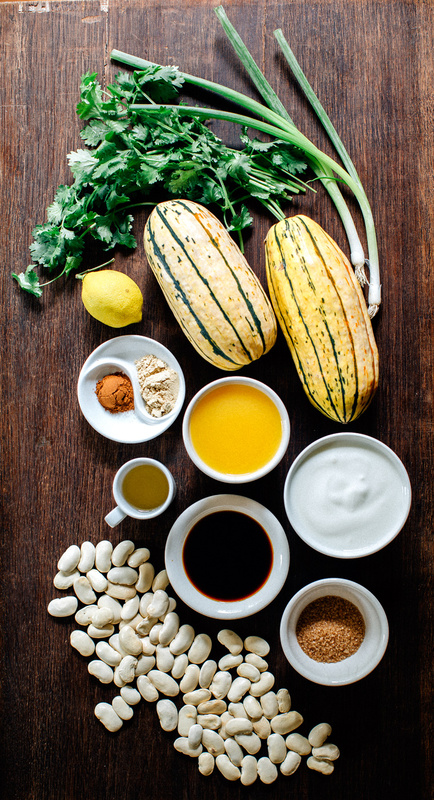 Her blog, 101 cookbooks, is the mothership in the blogosphere that is vegetarian food blogs – even non-vegetarians flock to her site for delicious vegetable-centered recipes, gorgeous photography and inspiration. 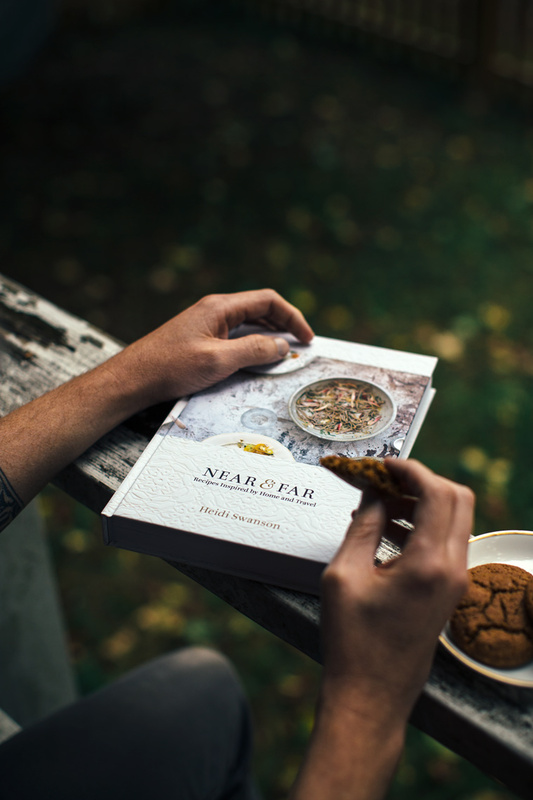 Near & Far: Recipes Inspired by Home and Travel is Heidi’s third book and I’m pretty sure it’s my favorite. After heart-eye-emojing all over every page I still hadn’t figured out which dish to cook-up first. 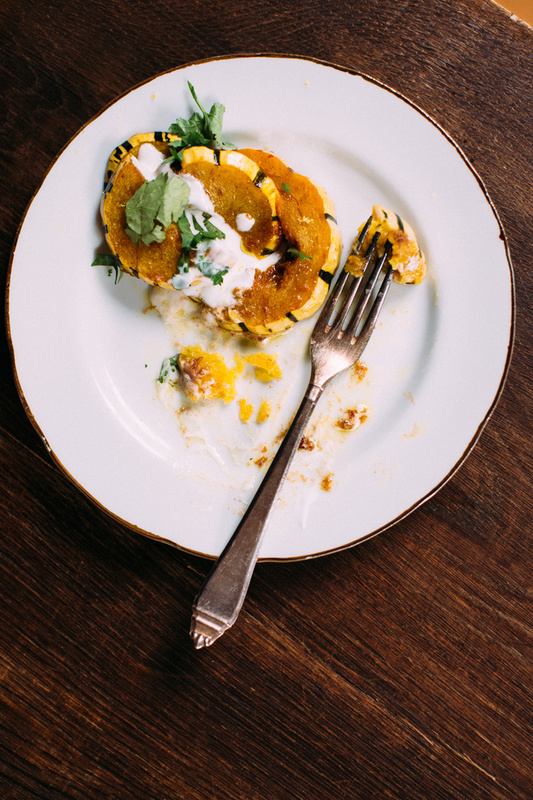 The squash I had on hand helped me narrow it down to two dishes but then I just couldn’t decide between them. So here they both are, so different from one another and if you were to ask me to pick a favorite I couldn’t tell you. They’re both equally amazing. 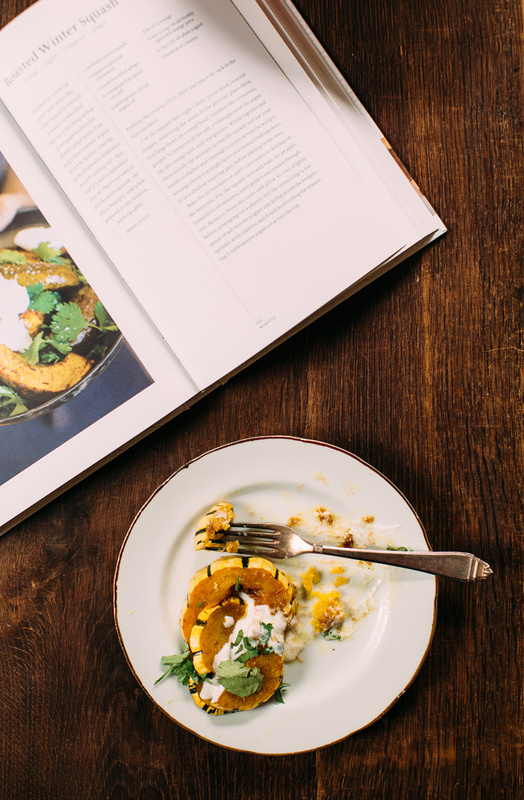 The roasted squash spiced with cinnamon, ginger and orange brought on the thanksgiving vibes while simultaneously tasting totally bright and fresh topped with cilantro and yogurt. 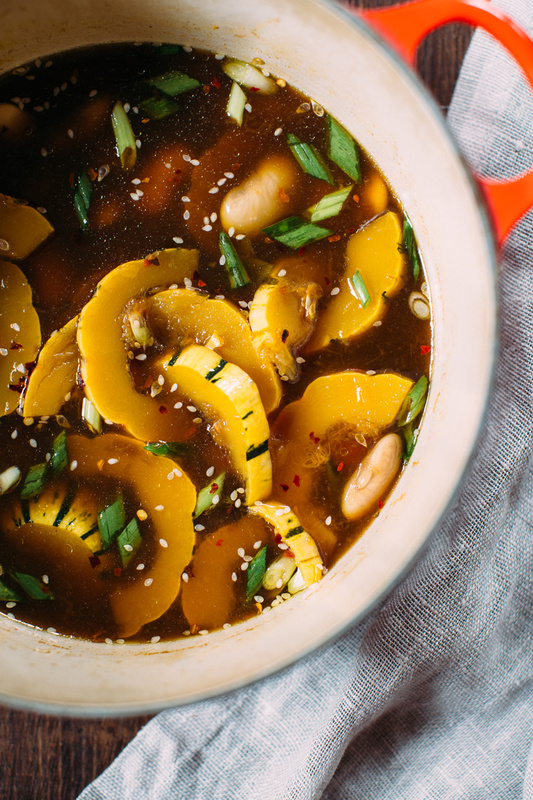 The simmered squash with dashi, shoyu and mirin (all new-to-me seasonings!) took my tastebuds to a whole new place and gave me that I-can’t-believe-I-just-cooked-up-something-so-delicious kitchen swagger. Oh and I also made the strong ginger snaps (with 5 tablespoons of ground ginger!) they’re pretty much guaranteed to make you feel all the warm and fuzzy feelings even on the most grey and chilly days. Wash squash well and slice into smallish chunks as shown. 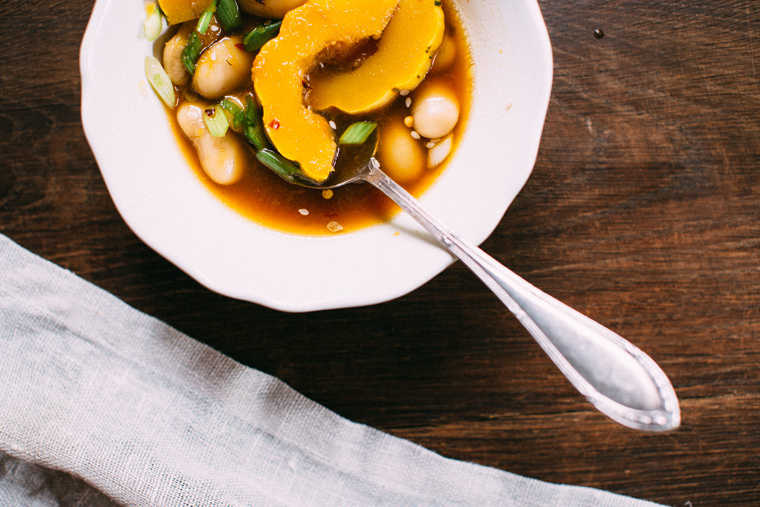 In a saucepan combine broth, brown sugar, miring and shoyu and the squash. Bring to a boil then simmer for 15 minutes or until squash is tender. Add the cooked beans to heat through. Taste and adjust seasonings – adding shoyu for a little more saltiness and mirin for a little more sweetness. Serve in bowls and garnish with thinly sliced green onions, a bit of lemon zest and a few drops of olive oil. Oh and I added some sesame seeds and a pinch of pepper flakes, totally optional. Wash and slice the squash as shown. In a small baking dish combine all the ingredients except the yogurt and cilantro. 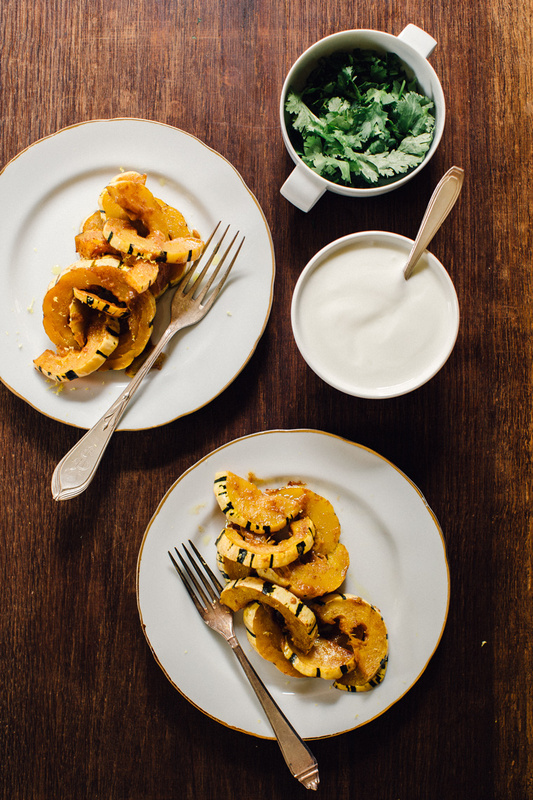 Whisk together well then toss in the squash slices, coating them well with this delicious marinade. Place in preheated oven at 375F and bake for 20 minutes. 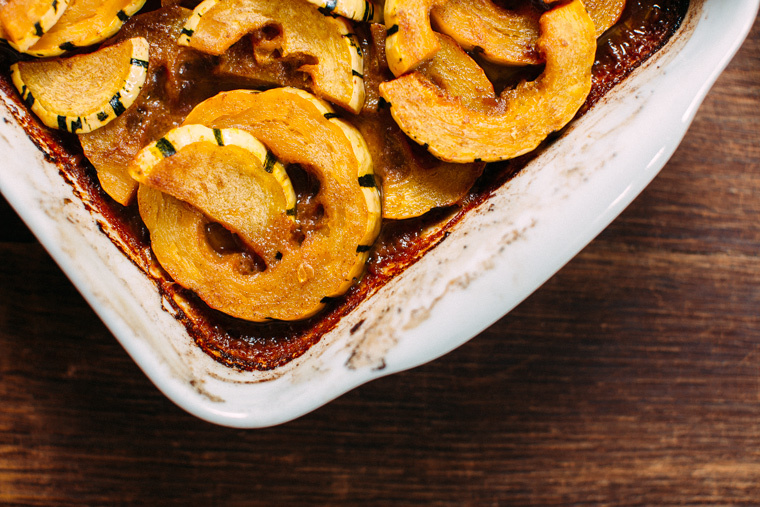 Flip squash over and bake for another 10 so that all pieces get evenly seasoned and roasted. Serve with plain yogurt and cilantro. 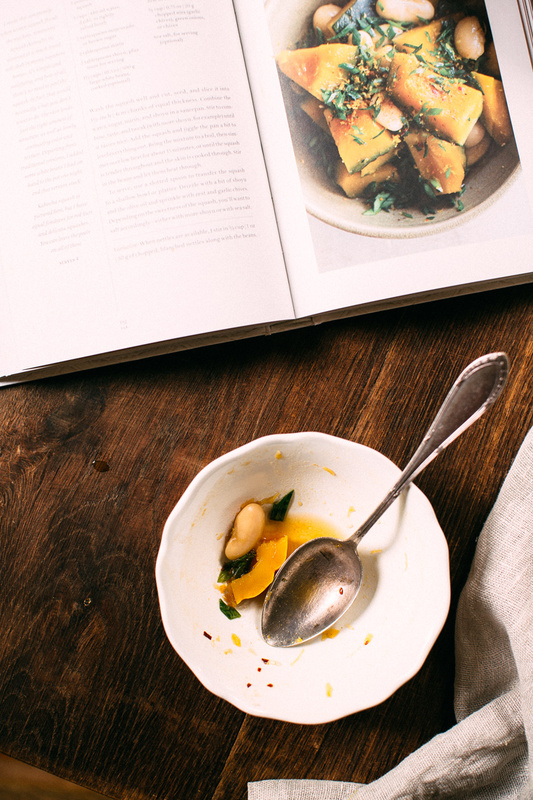 Recipes from the Near & Far: Recipes Inspired by Home and Travel. I received a copy of this book in exchange for an honest review. Oh I can’t wait to buy it! 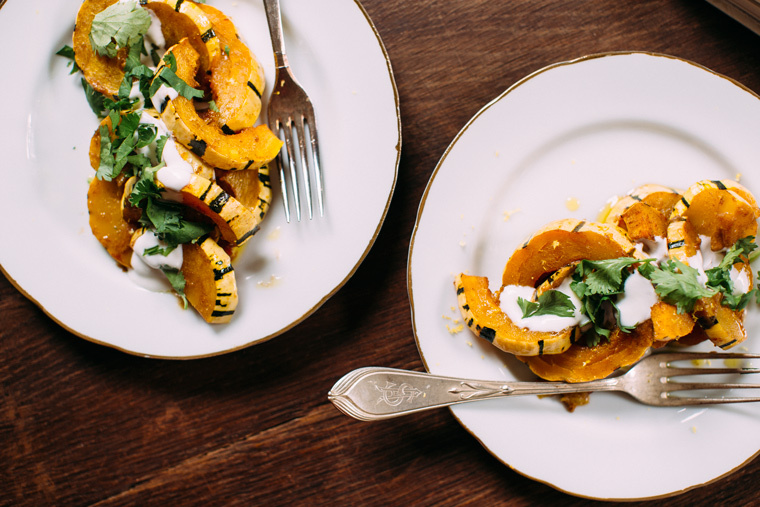 These look like seriously delicious squash dishes. 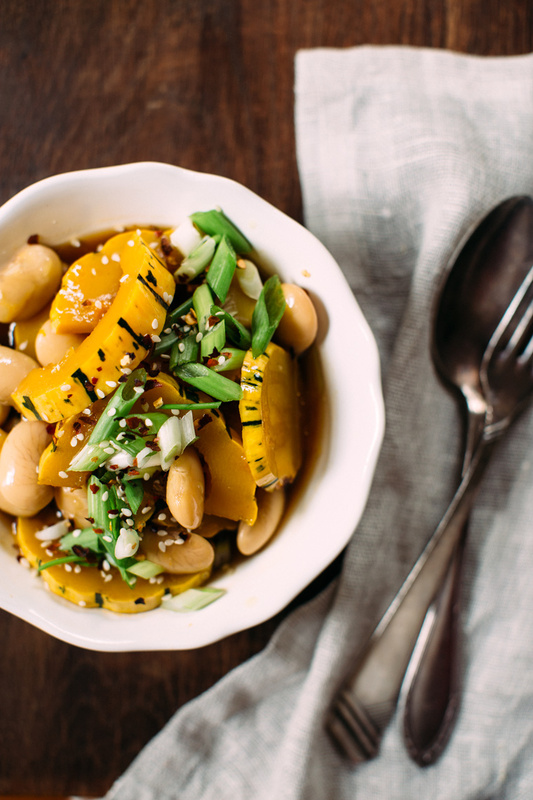 Heidi’s blog is one of my all-time favorites and her recipes are so thoughtful and unique. Thanks for giving us more insight into her newest recipes Grace. Can’t wait to flip through her cookbook myself!